CubeSail, designed by CU Aerospace and the University of Illinois, is a low-cost flight experiment based on the UltraSail concept. CubeSail, designed by CU Aerospace (Champaign-Urbana Aerospace) and the University of Illinois, is a low-cost flight experiment based on the UltraSail concept. 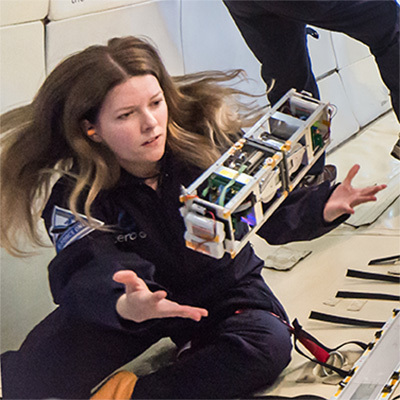 This experiment uses two CubeSat satellites to deploy a 20 sq. meter solar sail, which can play the same role as propellant on a conventional spacecraft. A major advantage of a “propellantless” solar sail is that the need for a relatively massive and expensive propulsive device is avoided. CubeSail mission goals are successful sail deployment, attitude control, and deorbit. The CubeSail mission is a first in a series of increasingly complex demonstrations leading up to a fullscale UltraSail mission.